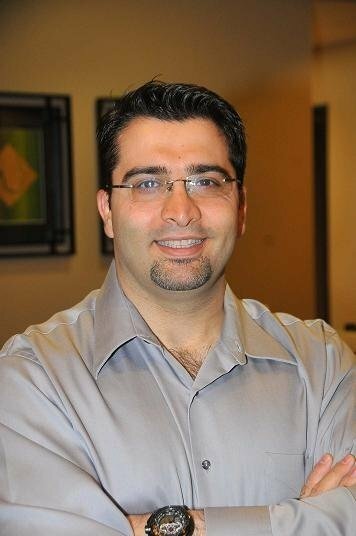 Dr. Shirazi graduated from Howard University College of Dentistry, in Washington D.C. in 2000 and earned a Masters degree in Oriental Medicine from SAMRA University in 2006 and is also a board licensed Acupuncturist. He has completed over 2000 hours of continuing education in TMD and facial pain, craniomandibular orthopedics, and sleep disordered breathing. He has also completed a hospital mini-residency in oriental medicine at the China Beijing International Acupuncture Training Centre which is the only organization the World Health Organization (WHO) has authorized to teach internationally on acupuncture and herbology, and another at Kyung Hee University and Medical Center, the top medical hospital and medical research school in Korea. In 2011, he became a board licensed RPSGT, the first and so far only, dual degreed dentist and RPSGT. He is the founder of the Bite, Breathe and Balance study group, dedicated to the multidisciplinary approach to treating craniofacial pain and sleep disorders. Dr. Shirazi is the director of a state of the art private practice, The TMJ and Sleep Therapy Centre of Conejo Valley, that is limited to the treatment of TMD, craniofacial pain, Sleep breathing disorders, and craniomandibular orthopedics. His practice is part of the TMJ and Sleep Therapy Centre international family, one of over 38 Centres throughout the world, and is located in the beautiful hills of Thousand Oaks, CA. Personally, Dr. Shirazi enjoys hiking and camping in the state parks, traveling, and speaking. He is married to the love of his life Kimberly Shirazi, and have welcomed their first born, Maximus. They live in Malibu Lake, a subset of Agoura Hills where all are very close to nature.